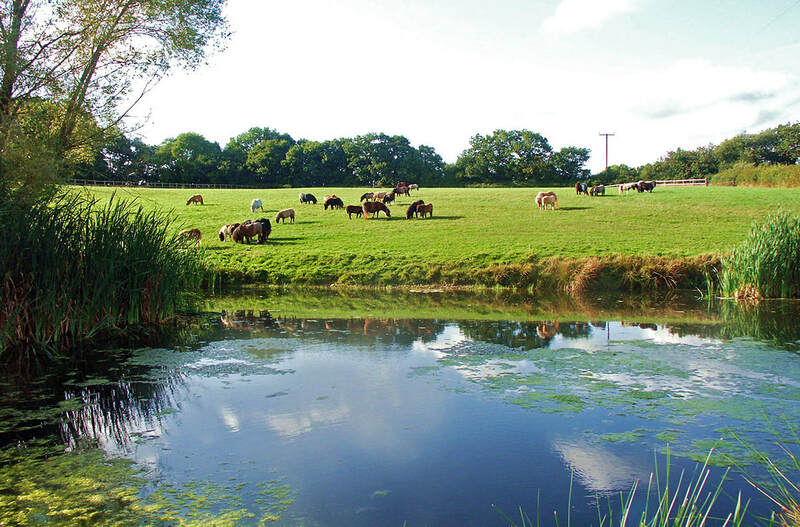 The Kerswell Stud was founded in 1970 and is situated in the Westcountry in Devon. 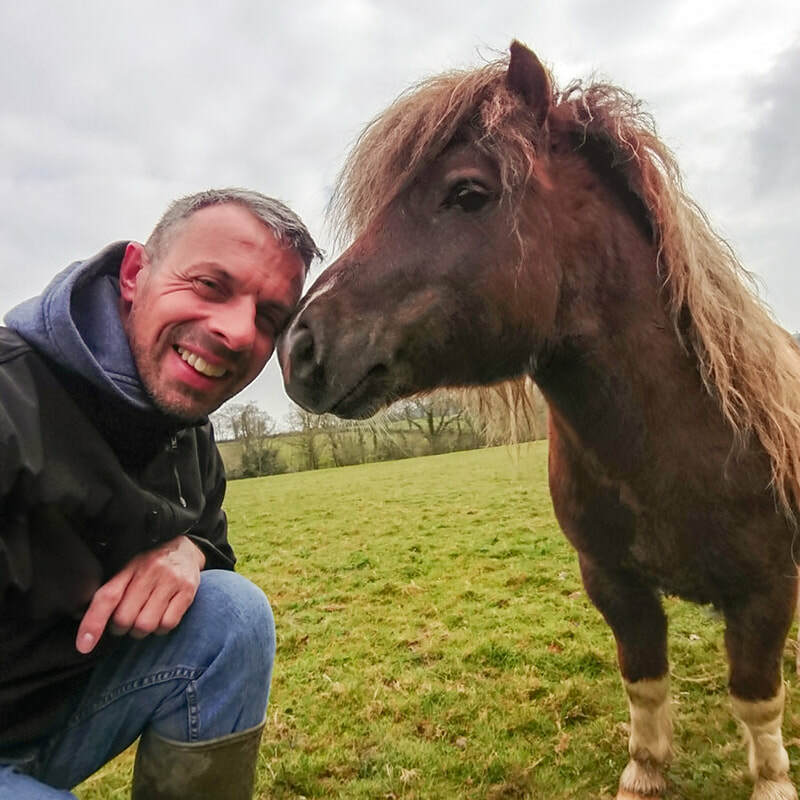 Our foundation stock was based on the old Marshwood and South Park bloodlines with the introduction of outcrosses when suitable and careful selection over the years has resulted in ponies with correct conformation with good straight action and beautiful small heads with true Shetland pony characteristics. The ponies have good bone and we place great importance on soundness and temperament. We have bred ponies of all colours and most of our ponies mature around 32” in height. We are delighted that so many of our ponies have formed the foundation stock for many other studs. In recent years we have greatly reduced the numbers in the stud with 5 foals expected in Spring 2019. The greatest influence on our breeding policy was undoubtedly the 31" black stallion Ron of North-Wells who we were lucky enough to acquire in 1975 from Lady Joan Gore-Langton of the South Park Stud. 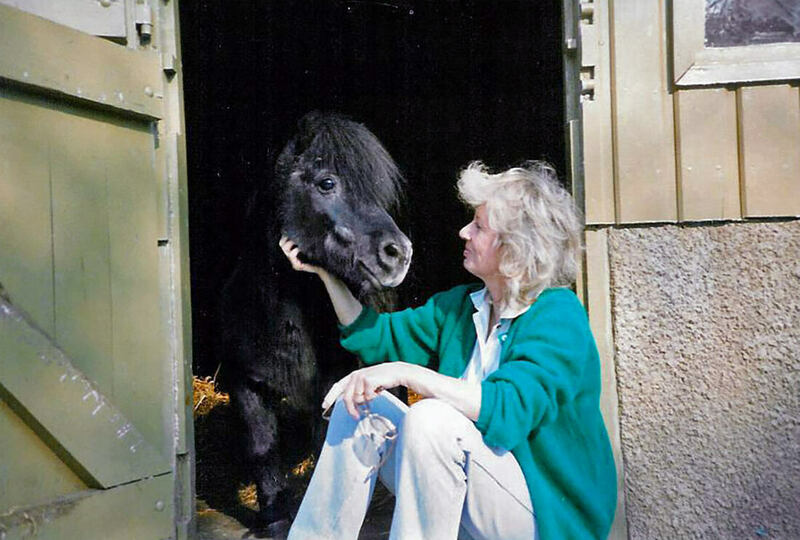 He was just a beautiful little pony who was a true Shetland in miniature, lots of bone, masses of mane and tail and great action. His bloodlines were mainly Marshwood and although his sire was 38” and his dam 34” he consistently sired small ponies very true to type with plenty of bone and lovely heads. 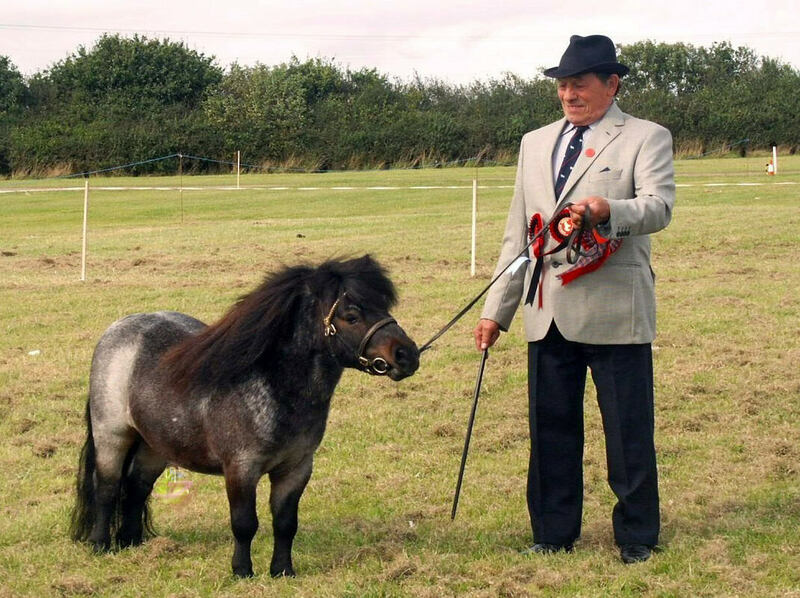 His descendants today are still reproducing his characteristics, and successfully line-breeding to Ron has resulted in the type of ponies that distinguish a Kerswell pony today. Two stallions who had a great influence were New Park Chieftain, a grandson of Ron, who was a 30" blue roan stallion whose bloodlines were predominately Marshwood on both sides, and Vorden Picea a beautiful 31” bay stallion who was mainly South Park bred. Suitable outcrosses are essential from time to time and Tyros Storm of Lambridge proved a worthy introduction and introduced some lovely colours including dun and palomino. Our last Ron son, Kerswell Reggae was one of the best ponies we ever bred and was put down at the age of 30 years old in 2017 but we have his sons, Kerswell Black Magic and a young bay 2-year-old Kerswell Midas. 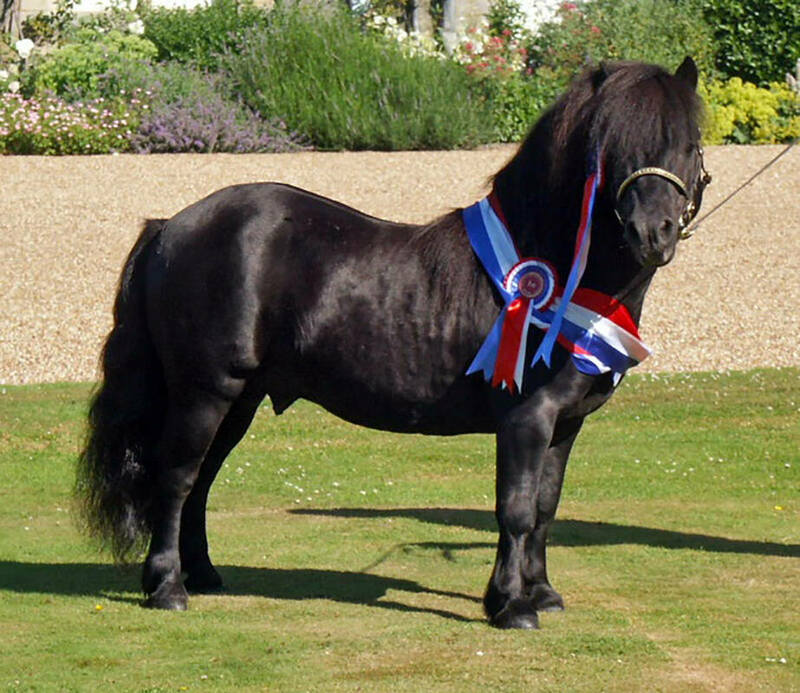 Our ponies have won major awards in the show ring including many Championships at the annual Society Breed Show over the years. New Park Chieftain and four Kerswell stallions, Reggae, Magnet, Crusader and Commando have been Overall Miniature Champions. Magnet and Commando were also Reserve Supreme of Show. Their descendants continue to win at the principal shows and we are very proud that so many of our ponies are competing successfully for their new owners both at home and abroad.